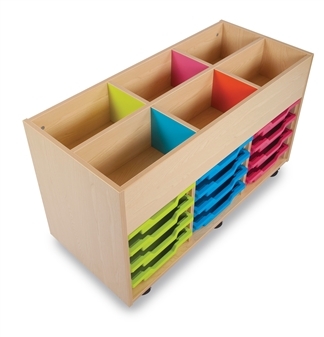 Bubblegum Kinderbox with 12 shallow trays is a colourful and fun way to keep all your Books and accessories stored away in a easy to see storage unit. They are available with four different coloured inner panels and wood finish is in Japanese ash. The units come complete with Gratnell trays. Available with 12 shallow trays in a vast array of colours to choose from. 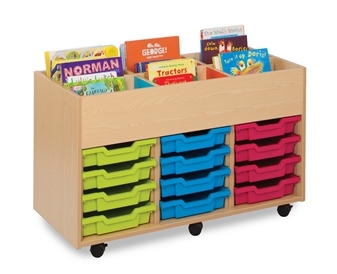 Complimentary range of colourful storage, cloakroom units and library furniture available to match.